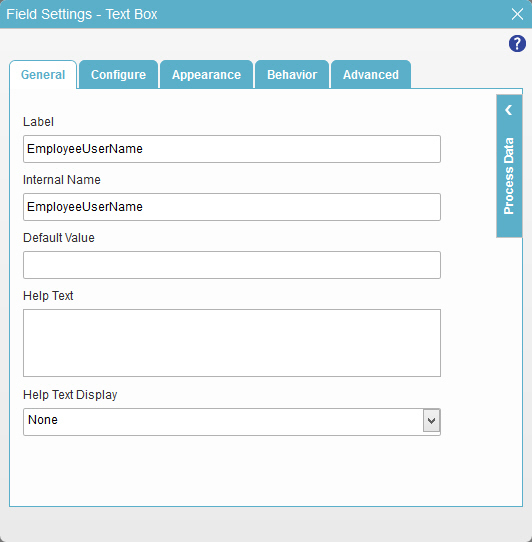 To configure the Employee User Name text box form control to store the form user's name user name for the Create Absence Request eForm, do the procedure in this topic. 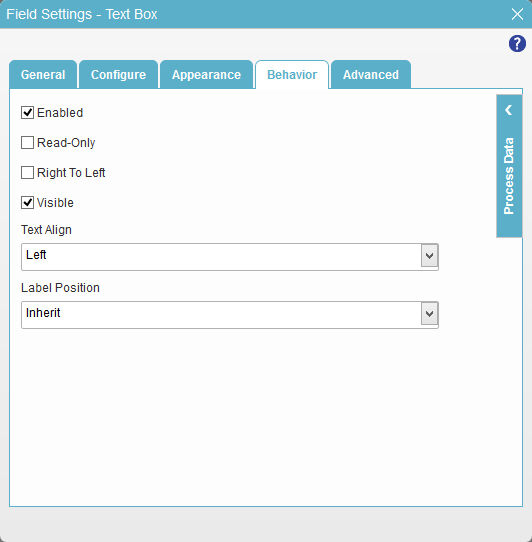 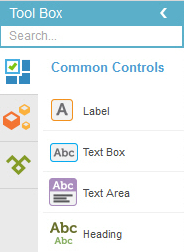 In the Label field, enter EmployeeUserName. 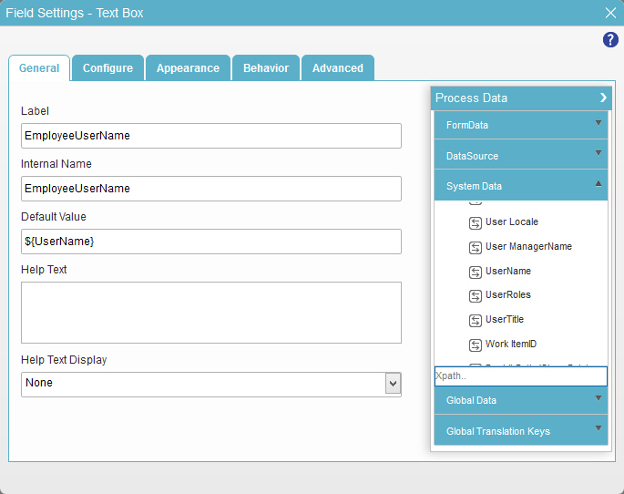 In the Default Value field, drag the UserName process data variable. 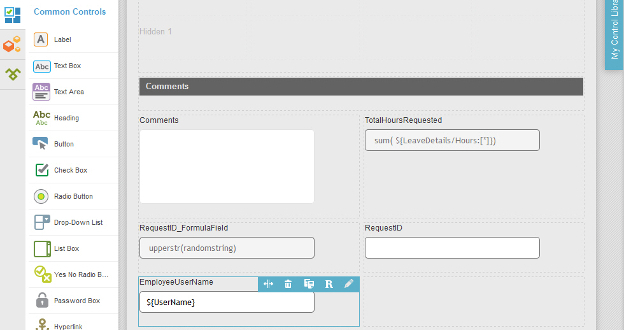 The eForm Builder shows the EmployeeUserName field for the Create Absence Request eForm.